Styled with chambery pant . Knit with a textured alpaca-wool blend from Italy, this sweater is soft and warm. 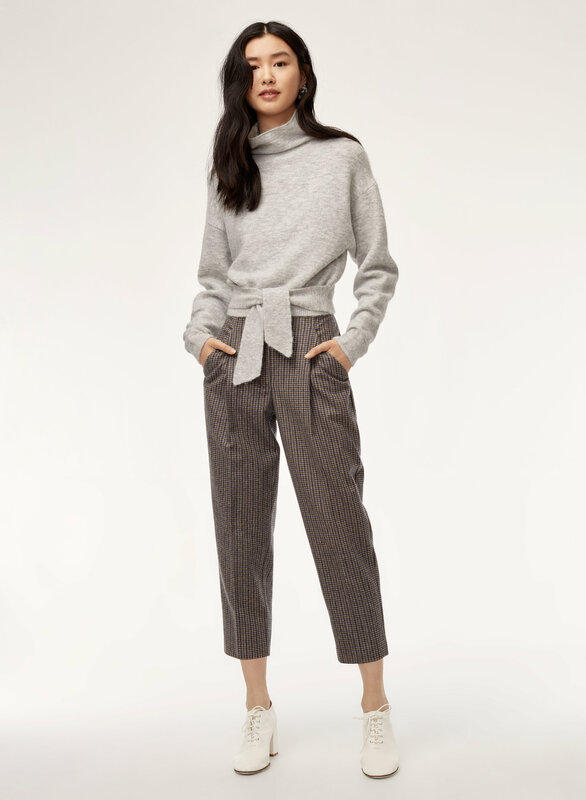 A hint of stretch helps the neck keep its shape, while the cropped hem has an adjustable tie that lets you play with the fit. Love love. Feels incredible on. Tie at waist adds to the beautiful factor! True to size! Perfect with high waisted anything! I could fit a XS but chose an S for a bit longer and looser fit. Beautiful sweater. I got an xsm and it fits perfectly. I got the pink which is darker in person but still nice. Love the Materials and the Style. Tried in the store and really liked it. Decided to ordered online. It is very stylish for a sweater. Obssesed. So many compliments every time I wear it! 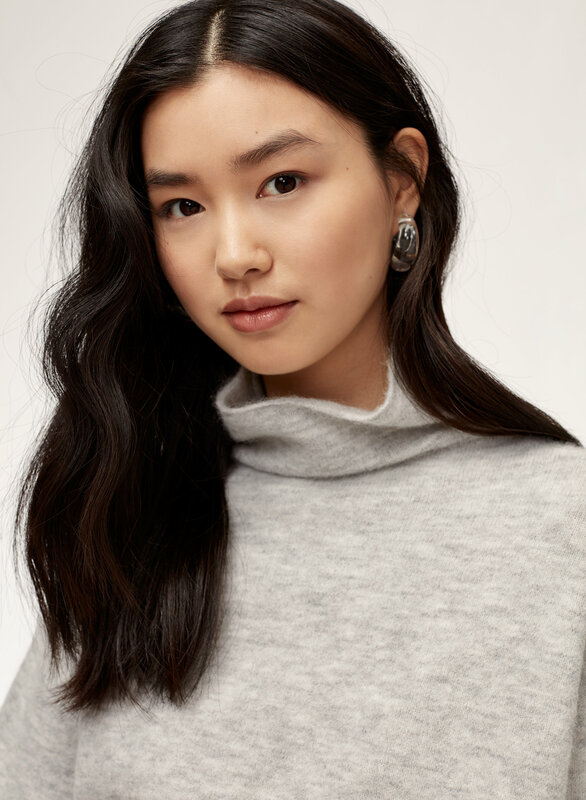 A little shorter than I would have liked, but works well with high-waisted skirts or pants. The tie is a really nice touch. I found this sweater so what scratchy and bulky and sent it back. It fit very large. Soft, comfortable and very stylish. 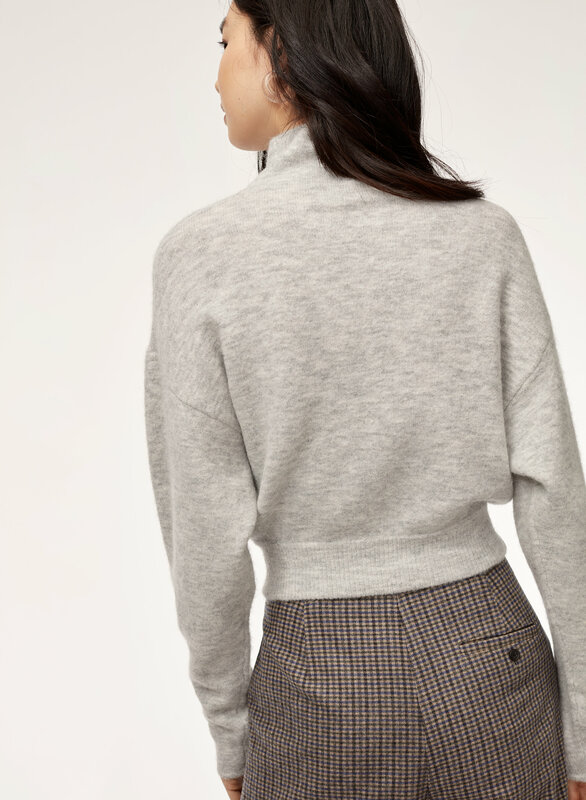 Bought the sweater in gray and have received lots of compliments. 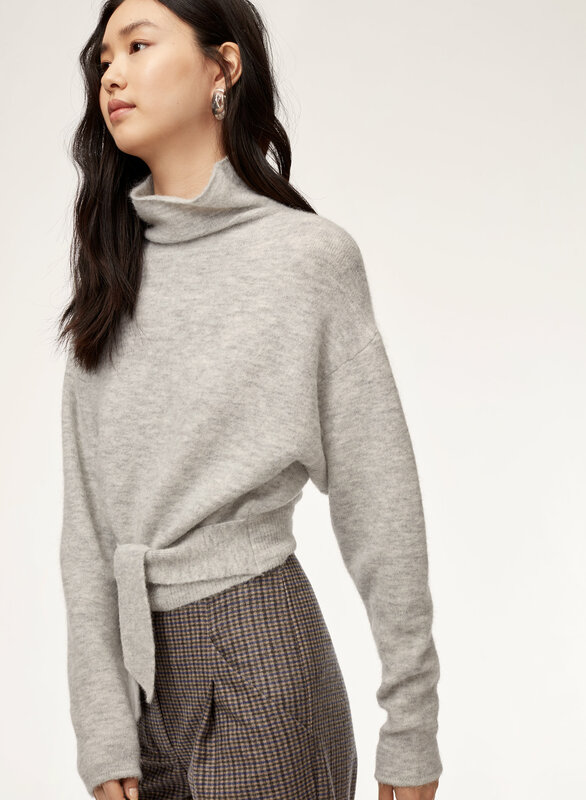 THe tie at the waist really makes this sweater. 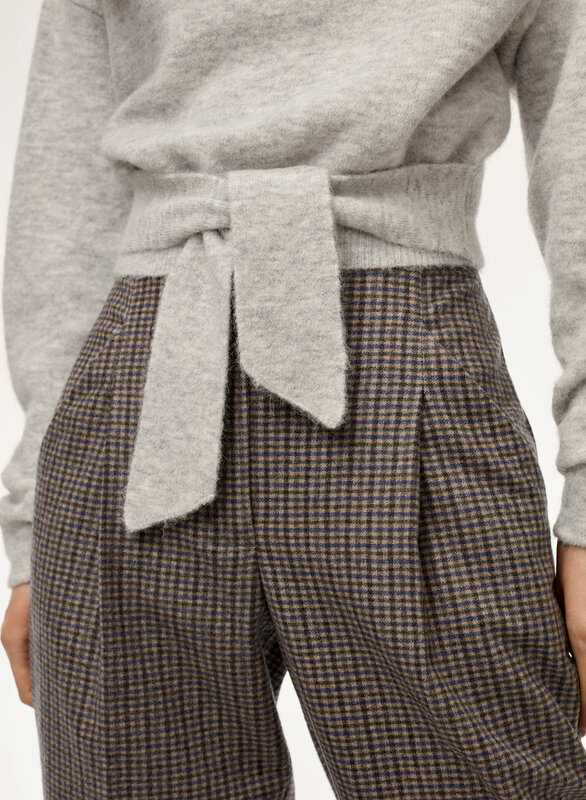 It looks fantastic with high waisted pants! I bought two: the brown and the blue, and the blue is gorgeous! True to size, gorgeous colour. 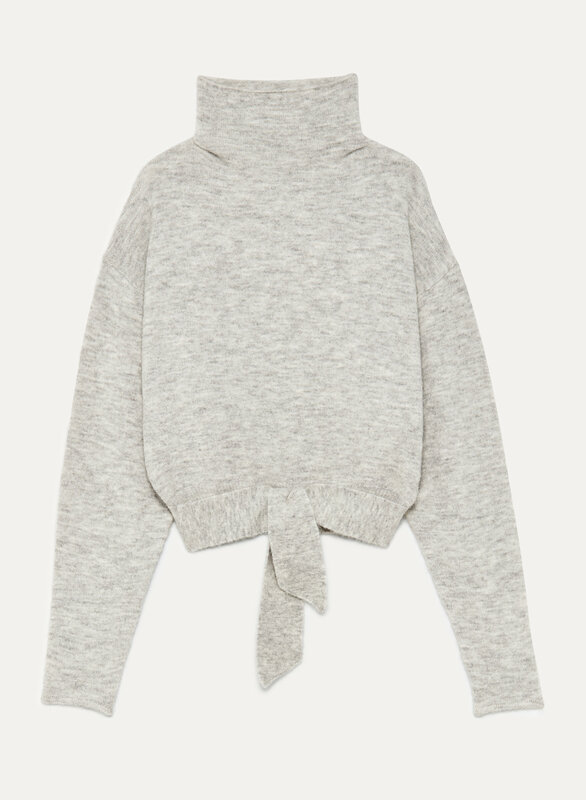 Classic Aritzia! This berry colour is great. Constantly getting compliments for this sweater. The colour is lovely and is faithful to the colour on the screen. The fabric is fantastic, warm, soft and so exquisite to the skin, just like expected! opportunity to mention where this Lorin Sweater is from!! I am a happy customer!!! Thank you very much for this wonderful-quality-lovable piece! Super cute! Not too short and love the versatility of being able to tie it in the front or the back! Bought it it four colours! 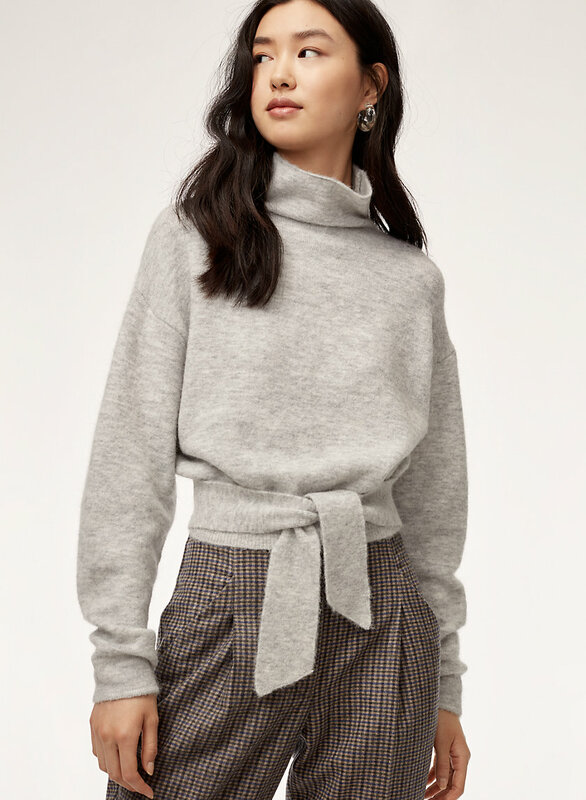 This sweater is SO cute and cozy but also is fitted with the tie, and completes jeans or dress pants effortlessly. Totally love it.